Shaving brush for shaving the beard made of wood and silver hairs. Registration "Men - for men - FRANCE". 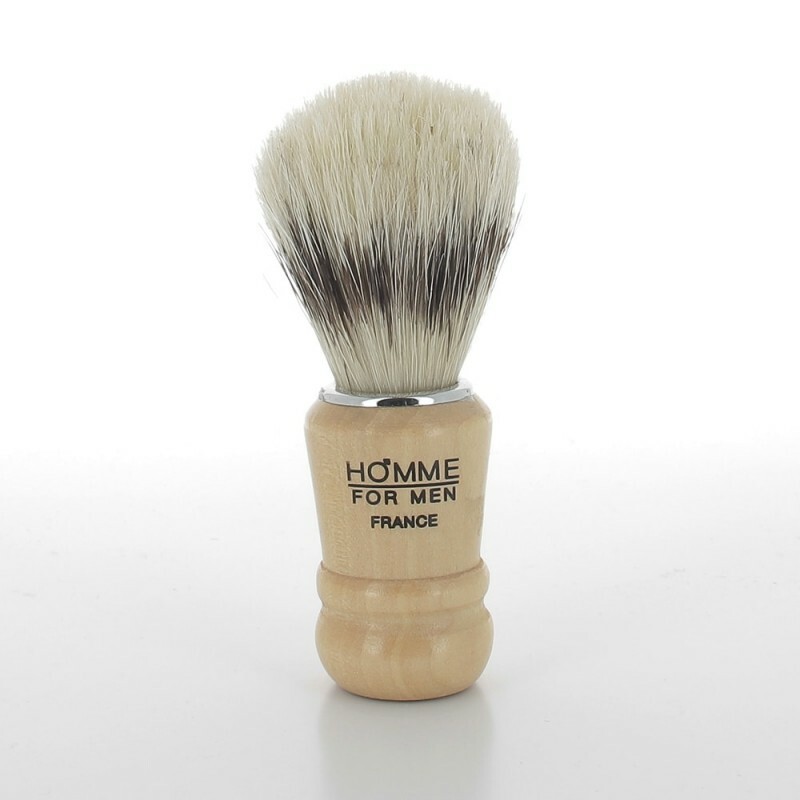 Essential accessory of the modern man, the beard shaving brush of our grandfathers is back to the modern time ! A barber's and a man's classy instrument that takes care of the beard. It moistens the beard and shave off the shaving foam. The shaving brush by Allonature is made of wood and silver hair.